Remember the hype from when In-N-Out came to Utah? This is just like that! 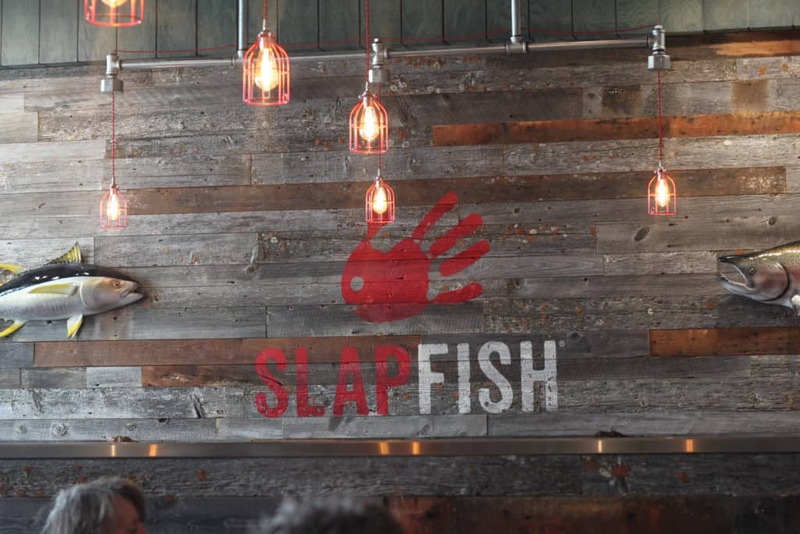 SlapFish has only been available in California and they were good enough to move to Utah County. These past few weeks have been a dream for me; I am in love with SlapFish and am delighted to have them closer to home. 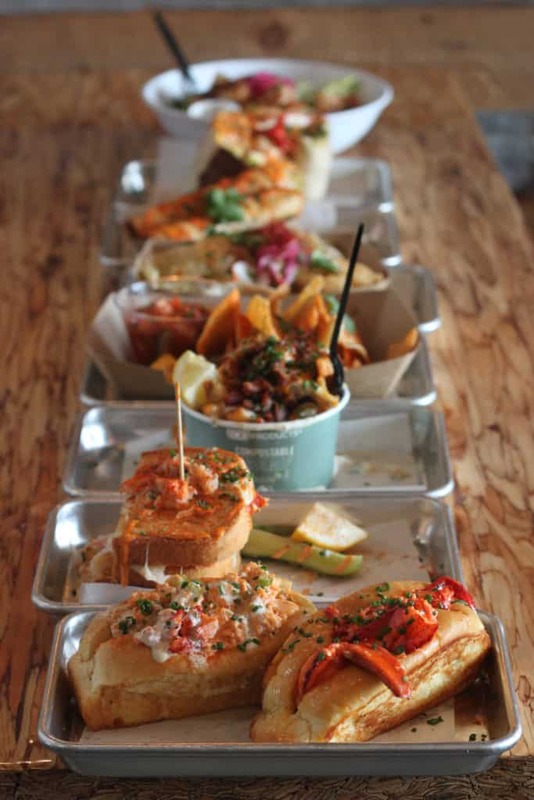 SlapFish is a modern seafood shack that completely understands the tastes of the sea. Whether you’re a fan of lobster, crab, shrimp or other fishy favorites, there’s something for everyone. I’m personally a huge fan of butter (call it a guilty pleasure) with my seafood. 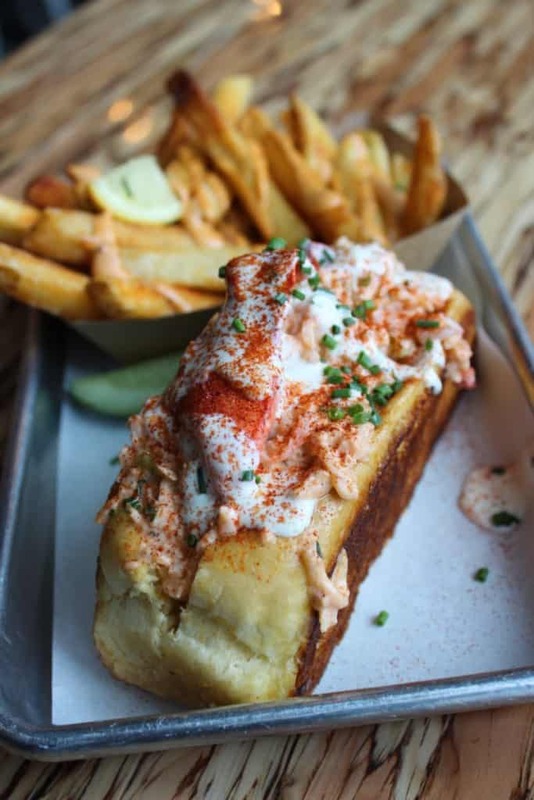 I greatly enjoyed the crispy lobster roll, which is a warm butter roll, split at the top, and overflowing with warm and flavorful lobster. I owe many thanks to Jesse and Kayla Runkle (Corporate Chef and General Manager) as well as Andrew Gruel (Founder/CEO) for coming to Utah. In the picture above, these three wonderful people welcomed Utah residents to try these amazing flavors. I’ll be the first to announce that we are happy they are here. The restaurant is modern and comfortable. I’m obsessed with the lights and love the woodwork on the walls and around the table areas. It’s a fun place to be! I’ve been back three times since they opened. 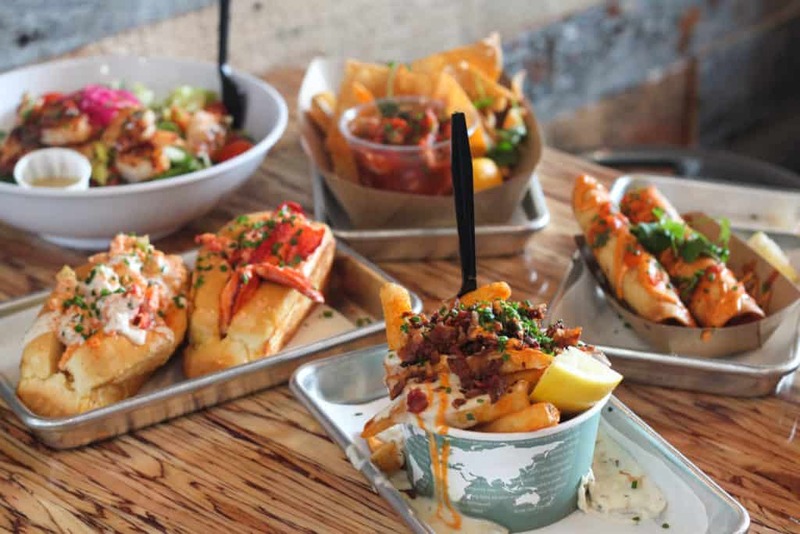 When you get over to SlapFish, you MUST order the chowder fries (pictured above). I’m always looking for those scrumptious fry concoctions, and chowder fries were just the ticket. 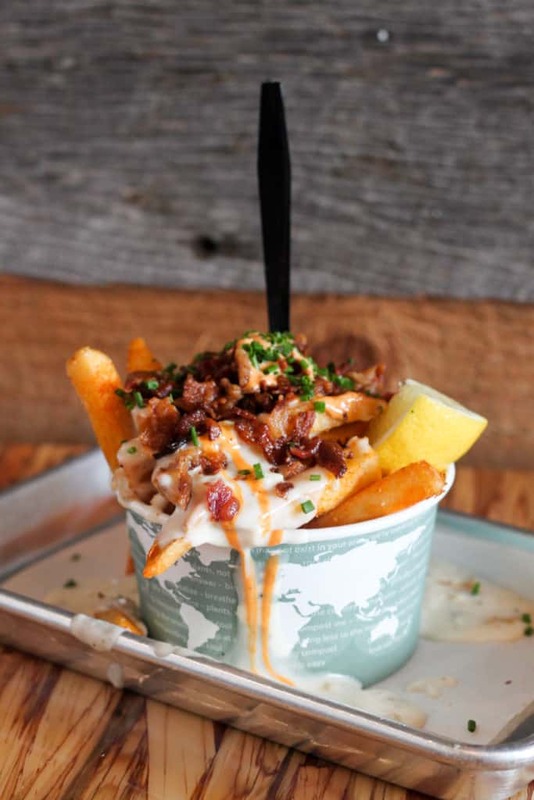 They serve thick, natural-cut fries with some sort of delicious, sweet cajun seasoning and smothered in creamy clam chowder and bacon. As we were digging in, a waitress came to our table and offered us Lobster Taquitos, on the house! We were thrilled! I don’t know if all free food just tastes good or not, but the taquitos were really yummy. They were perfectly crispy, and the lobster inside tasted fresh and seemed to melt in my mouth. 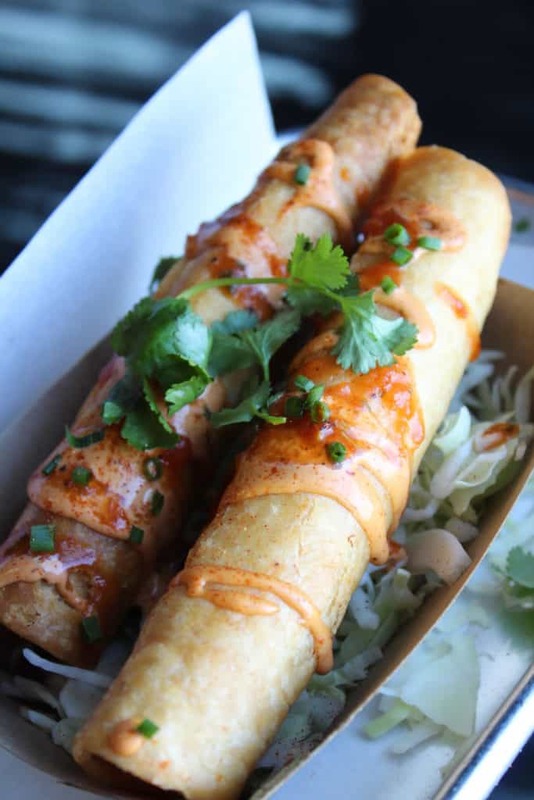 The menu says that the taquitos are covered in “awesome sauce,” and for good reason. I don’t know what this secret sauce is, but it is appropriately named. If you want to try it all, go with a group and have everyone order something different. 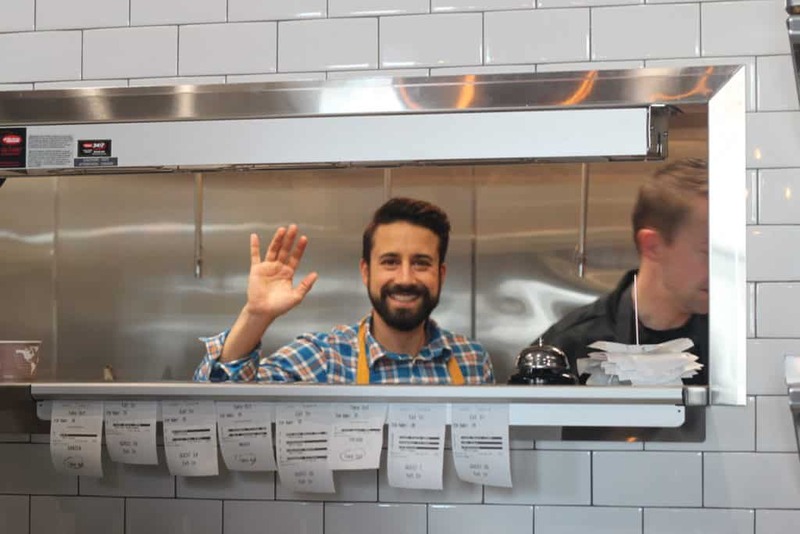 When we went for the grand opening, we tried lobster rolls, New England clam chowder, chowder fries, shrimp ceviche, the ultimate fish taco, the daily fish salad, the lobster grilled cheese, the Dagwood (fish n’ chips) and the epic fish burrito. Everything was great! I said I have favorites, but basically they’re all favorite. 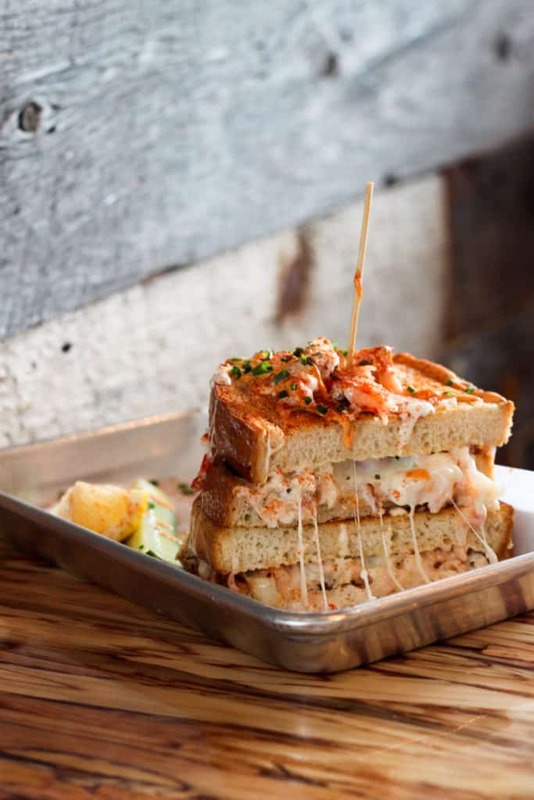 Only a handful of restaurants can manage a changing menu of well-managed seafood; SlapFish is in that handful. 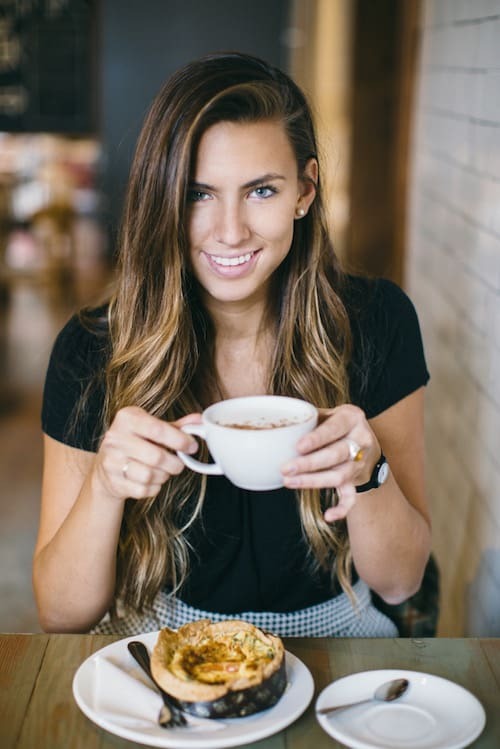 It’s been quite the adventure to try the differing items found on the Lehi menu, versus what I previously tried in L.A. and Huntington Beach. 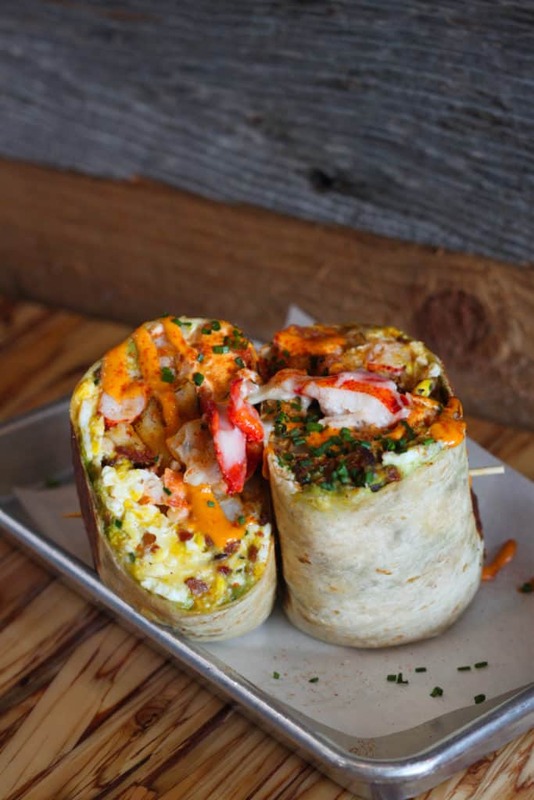 Luckily, if you’re planning a trip to California, you can call SlapFish to know what the menu selections are for that location. If you’re ever in Cali, definitely try the chowder tater-tots and the breakfast menus. 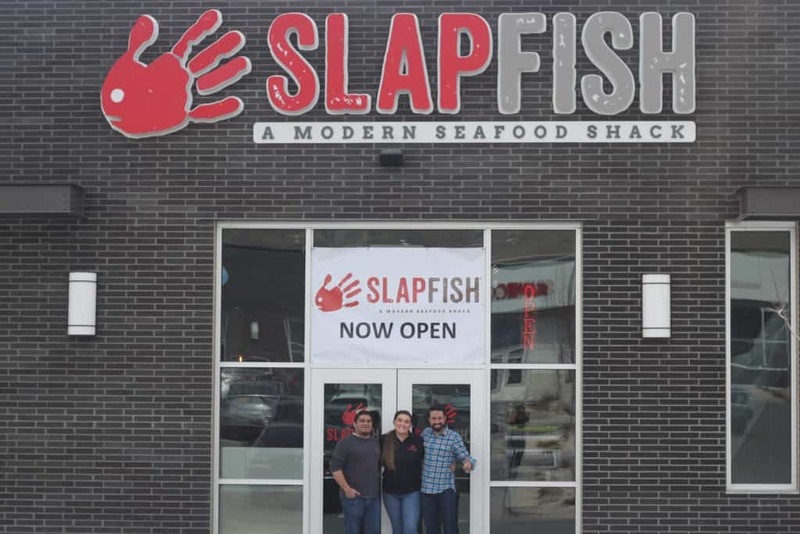 I recently learned that SlapFish is planning to open restaurants in Arizona, Colorado, Idaho, Nevada, Texas AND South Korea and London. 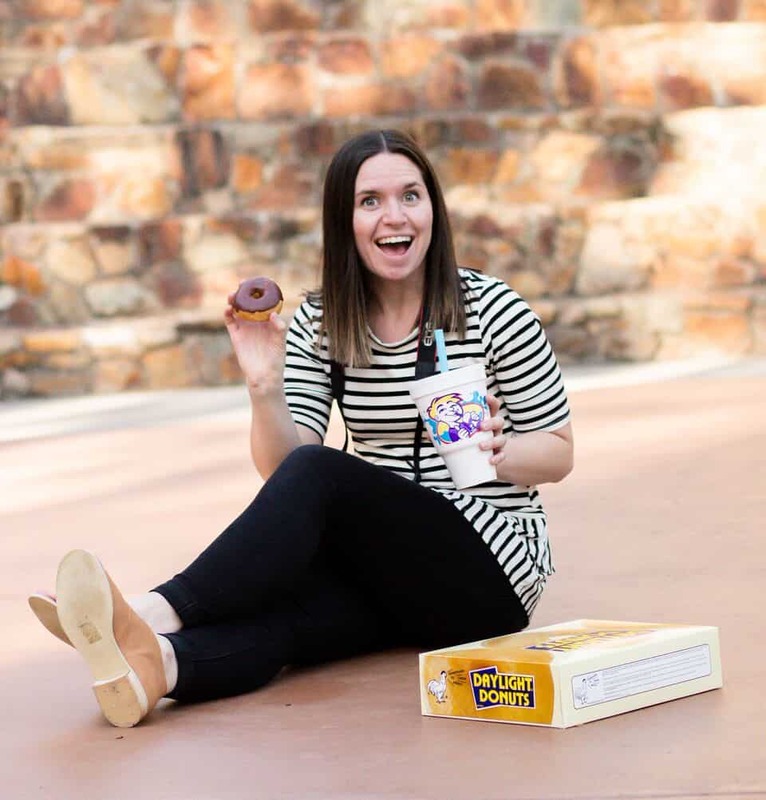 If you are closer to any of those locations, get ready for some delicious flavors and fun experiences. They’re coming your way. Before I go, I’d like to start a giant applause for Andrew Gruel. He’s winning our hearts through our stomachs. Andrew, thank you for all you do! I LIVE in Lehi, how do I not know about this place? You are the best, thanks! 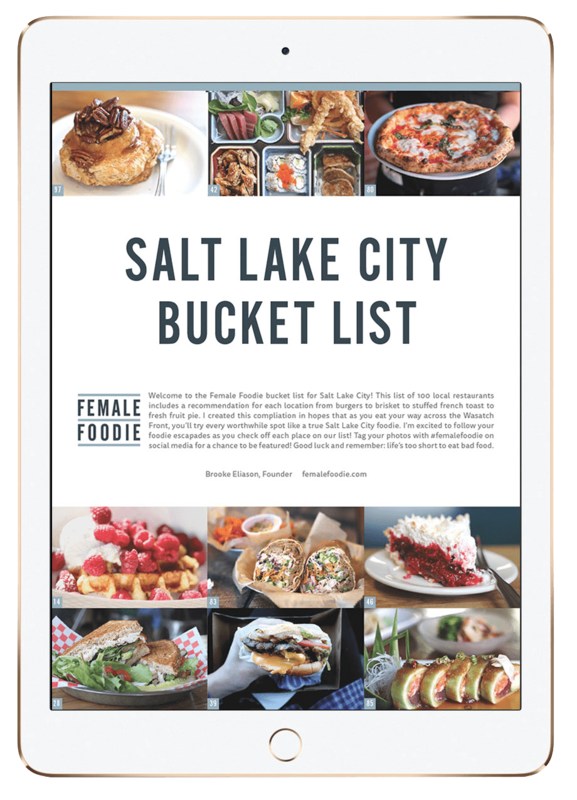 The million dollar question: How fresh is the seafood , with Utah being a landlocked state? Is it flown in fresh daily or regularly? Not sure why this just popped up since the original post was in April. 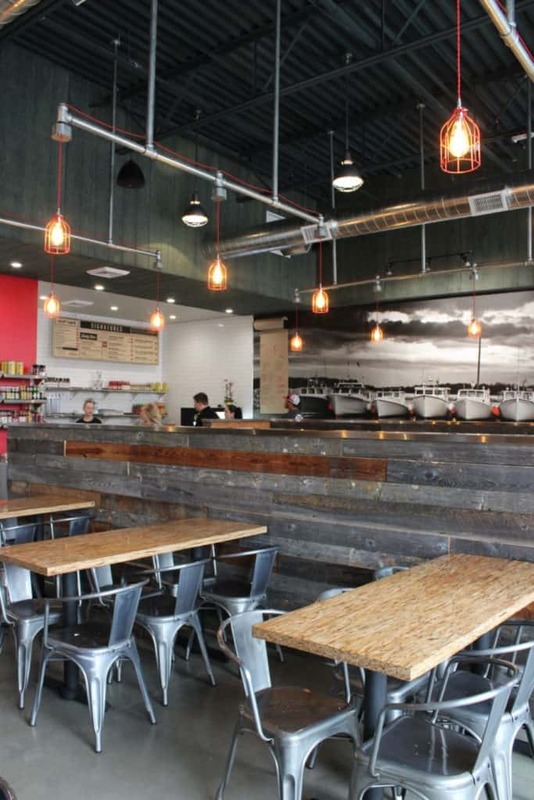 So glad to see your review as we just acquired a Slapfish in Sandy (Southtown area). I’m definitely going to have to try one of everything you mentioned. It sounds amazing! Thanks!! Hi Michelle! Thanks for the kind words and for stopping by. Let me know what you think of the new location!